Imparting digital literacy and media & information literacy to first-generation Internet users. START is a digital learning and MIL toolkit, which has been developed after years of experience in imparting functional digital literacy through hands-on training and workshops in rural and tribal communities. It has been designed exclusively for first-generation technology users to promote digital inclusion and fight information poverty. It is a 45-hour digital learning curriculum that covers 30 topics ranging from basics of computers, use of applications, media & information literacy and online security and safety, among others. 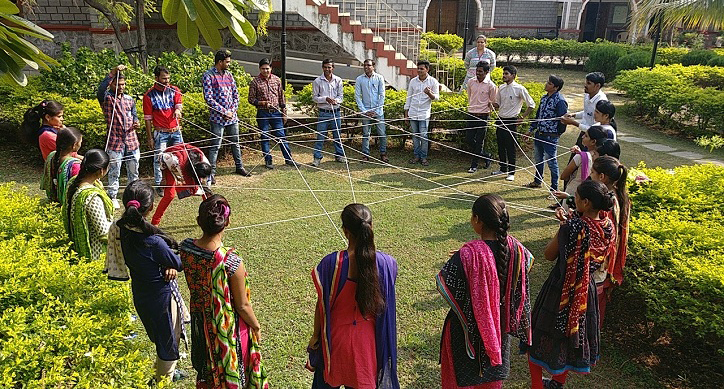 The pedagogy for START focuses on hands-on training and workshops in rural and tribal communities through activities and gamification of topics. Efforts are now underway to include a Media & Information Literacy (MIL) module into the START curriculum so that the first-generation users are also able to access, analyse and understand information to become conscious consumers and producers of online content. Next on the agenda would be to transform the entire START curriculum into an audio-visual curriculum to comprehensively and holistically include those who cannot read or write a script. The National Digital Literacy Mission (NDLM) is a major feather in DEF’s cap. Today, the NDLM has been adopted by the government of India as a full-fledged central government scheme in mission mode to ensure that every single household in India has at least one digitally literate person. The mission was, however, originally pioneered and developed by DEF in partnership with Intel to complement the government’s objective to ensure digital connectivity to all gram panchayats through the National Optic Fibre Plan (NOFN) to be implemented by the Bharat Broadband Network Limited (BBNL). NDLM is also a perfect example of how DEF has always taken the initiative to adopt a multi-stakeholder approach to address the issue of digital inclusion. The Government of India first thought of making at least one person in every household in India digitally literate as early as 2010 and invited private sectors partners, NGOs and other public sector agencies to implement the scheme with a multi-stakeholder approach. Then BBNL was established in 2012 to implement the NOFN and provide the connectivity backbone. It was then that DEF came forward to actually work out the framework for NDLM that has now been adopted by the central government of Prime Minister Narendra Modi under the Digital India programme. DEF implemented NDLM as a pilot project in three panchayats in three different states under its own Follow the Fibre (FtF) project to set up Digital Literacy Missions in the first three gram panchayats that got broadband connectivity from BBNL. DEF used the pilot project to showcase how making panchayats and citizens digitally literate can change the scenario of governance, empowerment, social inclusion, educational approach and employment. Today, DEF’s pioneering work has paid off and NDLM is now being implemented across the country in mission mode by central and state governments. While the deliverables have been met and the project closed, the vision of the project— to digitally enable one member in every household—is being carried forward by projects like CIRC, DCDP and Smartpur. 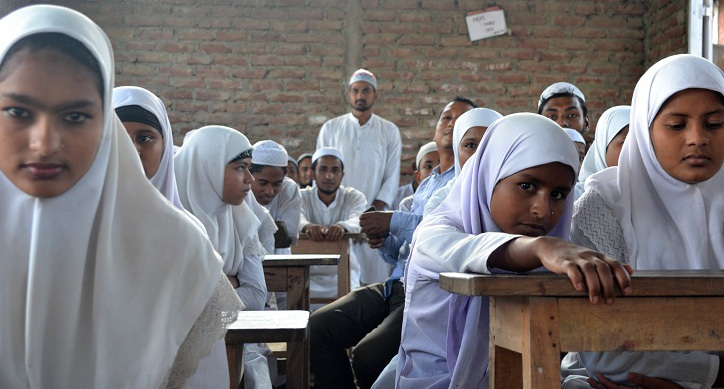 The English and Digital for Girls’ Education (EDGE) programme, an initiative of the British Council, aims to improve the life prospects of adolescent girls in socio-economically marginalised communities in Bangladesh, India and Nepal. The programme focuses on enhancing participants’ English proficiency, digital skills and awareness of social issues. As a result, participating girls will be better able to make more informed and independent life choices, as is their right, in order to contribute more fully to the family, the economy and society. In addition, the programme aims to improve the leadership skills of a smaller group of peer leaders drawn from the same communities of adolescent girls. The vision is to enable adolescent girls from marginalised communities to make more informed and independent life choices, as is their right, in order to contribute fully to the family, the economy and society. In 2016, the British Council partnered with DEF to deliver the project to adolescent girls from marginalised communities through its CIRCs in after-school, non-formal, safe spaces in their communities. Participants developed English and digital skills using self-access learning resources installed on laptops. Speaking and writing skills were strengthened by the use of an accompanying workbook. In addition, a series of flashcards and games developed grammar, functional language and vocabulary skills. Close to 100 adolescent girls were enrolled for the programme, and they had to undergo a 40-hour course. The success of the pilot led to its expansion, covering 19 districts across 12 states, reaching out to 575 girls through 23 CIRCs. Digital Empowerment Foundation and the Sir Dorabji Tata Trust (SDTT) have initiated the Integrated Technology in Education (ITE) initiative in the North East region of India. The three-year pilot initiative implemented with government schools in Juria block of Nagaon district in Assam and Rongram block of West Garo Hills in Meghalaya seeks to use ICT to support learning of school subjects for students of Classes VI to IX in a more knowledge-based and quality-oriented manner. The ITE model aims to improve learning and teaching, bridge the digital divide, and foster a sense of good digital citizenship among adolescents. It also aims to break the monotony of rote learning and teacher-directed learning by inculcating a culture where learners use technology through for own subject/lesson-based learning, thus modernising the way children and adolescents learn. Further, ITE will improve retention and interest in schooling, raise learning levels among children, foster English proficiency, encourage critical thinking, inculcate the values of responsible citizenship, and help adolescents make better career choices. Since its inception, DEF has been empowering the millions by taking multi-stakeholder approach and a six-fold path to enable communities, schools, governments, civil society organisations and micro-enterprises to avail the benefits of the Information Age. As part of this approach, DEF — with the support of Capgemini India and the Government of Uttar Pradesh in December 2015 — adopted 10 government primary and junior schools in Gautam Buddha Nagar, Uttar Pradesh, under an initiative called Raising Standards of Education and Going Digital or RAISED. Under the RAISED project, DEF plans to improve learning and teaching levels by using modern teaching methods and emerging ICT tools & technologies. DEF is also committed to bring some short-term solutions in fulfilling the basic needs in schools in the areas of health, hygiene, cleanness, safety and security of students. The overall objectives of the RAISED project are promoting e-learning mechanisms in schools; introducing connectivity through wireless broadband; training teachers in use of ICT; transforming schools education through IT-based education; encouraging child-friendly school management system; advocating and showcasing best practices; and ensuring compliances with the Right to Education Act (RTE) and Sarva Shiksha Abhiyan (SSA) norms. This is a Google initiative that DEF implemented in August 2014 through its CIRCs. The programme sought to empower 500 women by helping them through a step-by-step guide on how to use the Internet. 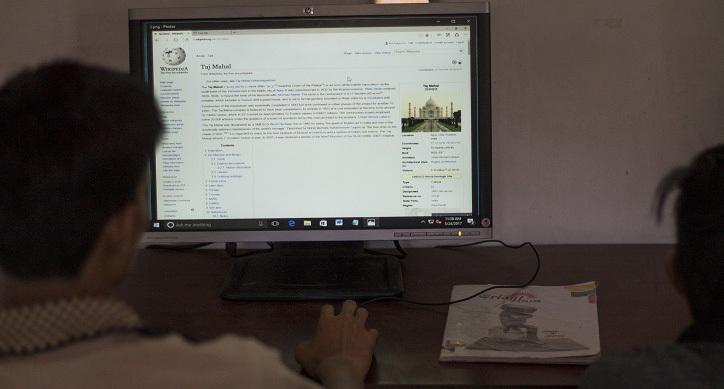 The programme teaches basic computer skills, Internet skills, Internet on mobile, chat, e-mail, etc. Information and Communication Technologies (ICTs) have accelerated economic growth and propelled a wave of engagements that have touched human lives, changing the way communities interact, increasing opportunities for livelihood and crossing the barriers of inequitable growth. ICTs have taken up such pre-eminence in our everyday lives, that we now have access to a bank of knowledge & services at our fingertips. As a result, people in tune with ICTs are no longer isolated and are part of the fast changing global platform. However, there are still millions who are yet to gain access to the ICT platforms for knowledge and opportunities, especially the women. 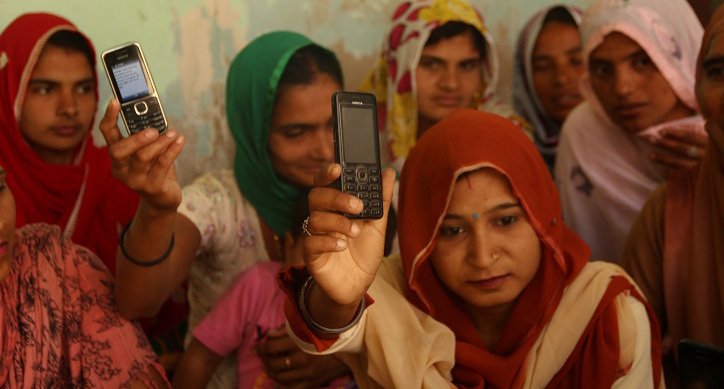 Internet Saathi, a joint initiative of Google and Tata Trust, is committed to increase interest and usage of the Internet among women in rural areas. The purpose of Internet Saathi is to reach as many rural women as possible in select Indian states with Internet literacy. DEF, the implementation partner of the project in Madhya Pradesh and Bihar, is dedicated to training rural women in the user of Internet. These trained women will then train others like them, creating a ripple effect of basic digital literacy. Through its existing CIRCs and local partners, DEF has reached out to 20,51,456 benificiaries (women and girls) through 2,937 Internet Saathis in 10,662 villages. In its latest phase, Internet Saathi aims at providing digitally-enabled employment opportunities to the Saathis across Bihar and Madhya Pradesh by training them to carry out tablet-based surveys for third party research and organizational groups. DEF in partnership with Media Lab Asia of the Ministry of Communications and Information Technology, Government of India, launched Gyanpedia in 2007 as an online repository of digital content generated by teachers and students of rural schools from all over the country. The portal creates a comprehensive, multilingual and dynamic virtual platform, which enables content exchange for the learning community all over the country. It helps facilitate learning, sharing and thereby boosting e-learning and e-education processes. The process largely contributes towards India emerging as a knowledge society and tries to preserve local knowledge. Gyanpedia promotes computer-aided learning at the grassroots level of the education system. It aims at preserving valuable thoughts, ideas and creativity of schoolchildren using ICT. It also promotes the idea of creating an educational content library for learning communities to share and exchange knowledge and ideas. It largely aims at facilitating educational content promotion, showcasing, sharing, exchange for wider benefit of education community from across government, civil society and corporate entities with CSR interventions. Public libraries have played an important role in democratising access to information in India which was considerably skewed in favour of the elites of the society in the past. Presently, the public library ecosystem extends from the national level to the state, district, block and village levels. However, in spite of their extensive spread and reach, their conventional mandate of offering reference and lending services did not change much. To a great extent, the Indian public libraries have not been able to leverage the benefits of the digital era that has revolutionised access to information and knowledge. Moreover, at the global level, public libraries are increasingly being seen as means to achieve 2030 Agenda for Sustainable Development Goals (SDGs) of the United Nations (UN). Thus, the District Library Project was started with support from the Bill and Melinda Gates Foundation. The project introduced digital interventions in district libraries to bring about integrated development and thereby rejuvenate the public spaces of knowledge. The programme tried to not only modernise libraries with digital resources but also convert them into major change agents for spreading digital literacy, improving access to critical information and encouraging learning and knowledge acquisition. Three district libraries in Unnao and Kanpur in Uttar Pradesh, and Bettiah in Bihar were transformed into vibrant public spaces of information access and community engagement. After the successful implementation of District Library Programme in Bihar and Uttar Pradesh, DEF rekindled the project with Indian Public Library Movement (IPLM) Telangana in 2016. Indian Public Libraries Movement (IPLM) is an initiative of NASSCOM Foundation funded by Bill and Melinda Gates Foundation, to use digital interventions to bring about integrated development and thereby reinvigorate India’s over 650 dying public libraries into vibrant public spaces for knowledge, information, learning and engagement. DEF is the implemention partner in Telangana where it is working with 13 public libraries in 10 districts to improve the access to critical information and knowledge resources for the library community by strengthening the capacities of the district public libraries as access and resource centers with the support of ICT tools. Digital Literacy, Safety and Security was an initiative of Digital Empowerment Foundation and Google India. The project aimed at imparting digital literacy to ensure user protection in India. It also promoted ways and means for users to stay safe online by advocating digital security and privacy needs through workshops in different states of India. Similar trainings were conducted for civil society organisations, human rights defenders and youth. The project was rekindled in 2018 by DEF in partnership with Webwise: An Online Safety Initiative by OLX, to tackle online abuse, trolling, and cyber bullying to promote online safety. The project aims to tackle this issue in two ways. The first is by setting up an online community called ‘Women Act Against Trolling’. This community is meant to act as a repository of information regarding online abuse and the options that those facing abuse can take. It consists of a discussion board where people can discuss their issues; digital security kits to keep safe online; information about cyber cells in the country and mechanisms for reporting cyber-crimes; and support groups and helplines. We’ve also partnered with various organisations and NGOs who work in this area to share their expertise and to act as resources for those who visit the website. Digital security workshops are being conducted in schools and colleges around Delhi in order to educate young people about using the internet safely. The workshops cover basic digital security and include issues related to cyber bullying and online abuse. Post-demonitisation in November 2016, DEF started provided awareness to rural communities, especially small enterprise owners, about digital financial literacy, mobile banking and mobile wallets. Rural unbanked populations were also encouraged to open bank accounts. DigiPrayas in one key programme launched with this vision in partnership with Axis Bank. In its second phase, the project, now called DigiSupport, assists individuals to open bank accounts and trains them in carry out mobile banking and mobile payments. DigiPrayas aimed at imparting digital financial awareness to rural areas of the country. It helped communities in seeking modern forms of banking through the digital medium, by first familiarising them with the digital interface, and helping them access digital banking services. The project was operations in 12 panchayats across five states in the country. The initiative involved several levels of engagement from community awareness programs to individual training. The trainings involved imparting information on the technological transformation in accessing banking services, process of opening a bank account, concept of demand draft, use and benefit of Debit cards, Micro-ATMs, concept of online and mobile banking with hands-on use of app-based banking services for money transfer, recharge, bill payments and checking details of your bank accounts. The project targeted 500 community members in each primary and adjacent village covering more than 6000 households. The project was completed in a span of three months, achieving the desired target and empowering a large number of people to use digital financial tools in their daily lives. In its second phase, DigiPrayas returned as DigiSupport; this time to spread the awareness on and services of digital-financial tools to the rural areas over 14 states in the country. It aims to educate and empower the villages and local communities with a focus on social and green banking services. The project seeks to reach out to more than 50 villages and directly impact 30,000 beneficiaries located around the rural branches of Axis Bank. The project enables all the stakeholders to make cashless transactions using digital banking services, conducting awareness programs on digital-financial literacy, internet banking and other financial services and products offered by the bank through rural leaders known as DigiPreraks. The DigiPreraks provide digital financial literacy through tablets and screening videos along with conducting awareness camps, health check-ups, Aadhaar seeding, plantation drives, yoga camps and blood donation drives to mobilize the community. Thus, the program not only aims at educating the rural communities but also enhancing the existing knowledge and skills of the people in the current e-financial tool and connecting people to the digital banking system. To tap the power of user-driven publishing through the Internet and social media, DEF launched Citizen Media Network (CMN) as a short-term project which aimed at nurturing citizen journalism in India and South Asia, and provide the right ICT tools for empowering digital journalism and techniques. CMN provided a platform for developing motivational development stories from rural lives. ; offered training for rural community development activists; provided training through workshops for rural reporters to develop effective stories and provides them with the right tools to publish them digitally; in collaboration with IGNOU, it offered a citizen journalism course for aspiring rural reporters; provided training to rural reporters on powerful TV and web news production; hosted workshops to build a pool of rural reporters. In 2018, Citizen Media Network was revived at a global level in partnership with the Association of Social Media Professionals to encourage professionals from different fields—civil society, government, bureaucrats and entrepreneurs, among others—to leverage the power of different media platforms, both mainstream and alternative, through quality content to serve their communities, scale up their efforts and build their networks. The realisation behind this association was that in the internet age, new media is an increasingly used platform to get desired public policy results and media activism. It is now easier than ever for government and media professionals, covering any stream, to share and hear the views and opinions of real folks back home on how any policy impacts their lives socially. New media as an advocacy platform and tool has exponentially increased in the past several years with non-profits, trade associations, labour unions, government institutions, media organisations and civic groups leveraging their strength back home to move their interests forward. This rise in Internet users and new media has also created a cluttered message environment and advocacy groups have to be creative in their messages delivered and received. Social media is one of those tools that should be used and its impact should be measured in a very effective way. Digital Literacy: This is a part of the CIRC project. All CIRCs implement a digital literacy programme of 40 hours for rural youth, women and children. Training is provided to impart basic computer and Internet skills, including use of social media and Internet-enabled mobile phones. Digital Skills for Employment: This is a three-to-six-month customised hands-on training and capacity-building programme for rural youth to enable them to obtain employment. eNGO Capacity Building: As part of the eNGO project, this is a one, two or three-day customised resi­dential ICT programme for NGOs and their functionaries to train them on how to use digital tools, the Internet and the opportunities available onlineto enhance the effectiveness and impact of their work. The programme also en­ables NGOs to have their own website and manage them on their own. Barefoot Wireless Network Engineers: As part of the Wireless for Communities initiative, hands-on and on-site training is provided to local youth in basic wireless technologies so that they can operate and maintain wireless networks in remote areas. ICT for Rural Entrepreneurship: This is a five-to-10-day residential programme for 10th and 12th pass rural youth to enable them to start and manage digitally-enabled entrepreneurship ventures with profitability. Course is designed with practical experience and hands-on training. 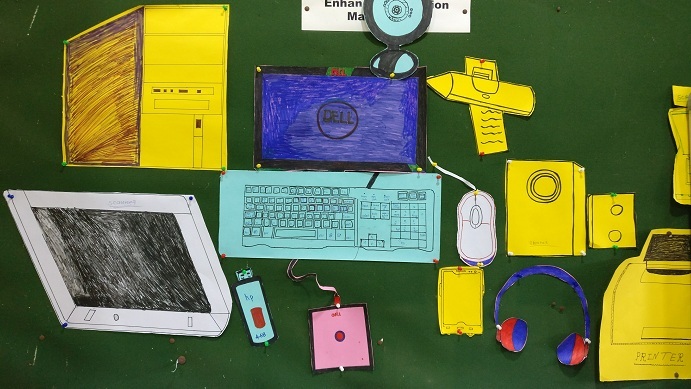 Digital Empowerment Youth Fellowship: This is a one to three months’ programme designed for youth who would like to work with rural communities in order to learn about the rural lifestyle and in conjunction offer digital interventions. This is an on-site programme where the youth are supposed to be stationed at one of the hundreds of Community Information Resource Centres or Digital Cluster Resource Programme Centres that are run and managed by DEF. Fellowship of the Loom: This is an exchange programme for students of fashion design, designers and weavers who spend time in each other’s ecosystem to learn more about the industry and to hone their skills and learn new ones to expand their business. Digital Content Creation: This is a three-day residential programme on digital content creation including how to use all kinds of digital media for individuals, organisations, artisans, entrepreneurs and non-profits. Digital Media for Community Radio: This is a specialised and customised programme, exclusively designed for NGOs who run community radio stations, to train them in how to integrate and converge with digital media. Digital Panchayat Capacity Building: As part of the Digital Panchayat programme, functionaries of panchayats that are digitally enabled are provided training to enable them to use ICT and the Internet for their daily work and also help them adopt digital medium as a tool for accessing information for governance and services. mGovernance: Three-to-five-days residential programme for government officials on mobile governance with site visit and specialised video-enabled case studies. eMSME Capacity Building: As part of the eMSME project, entrepreneurs running small and micro enterprises are provided one, two or three-day customised residential ICT training about how digital tools can help them in their business and skills. The programme also enables micro, small and medium enterprises to have their own website and manage them on their own. GOAL (Going Online As Leaders) has been conceived as an crowdsourced and crowdfunded initiative of DEF to link urban women leaders, all experts in their respective fields, to five tribal girls each who will be trained in digital literacy by our ground staff and mentored by the women leaders to become village-level women leaders and agents of change. During the six-month training and mentorship programme, the women leaders, with expertise in their respective domains — from business, education and health to politics, arts and entrepreneurship—inspire, guide and encourage at least 5 tribal girls each to become village-level digital young leaders in Betul district of Madhya Pradesh, a tribal region. During the course of the project, the young girls are trained in functional digital literacy and mobile literacy; equipped with basic digital tools; and nurtured to inculcate life skills, leadership qualities, advocacy skills and entrepreneurial attitude. The mentorship and digital training of the girls is supported by DEF’s pre-established Community Information Resource Centres (CIRCs) located in the vicinity of these tribal areas. Women trainers from these CIRCs, which are well equipped with digital infrastructure and online or offline resources to provide a conducive physical environment for learning, facilitate the digital literacy of the girls through a dedicated digital literacy curriculum; while the urban women leaders mentor the girls remotely through fortnightly audio or video-based calls, WhatsApp-based messages and Facebook or Instagram updates. 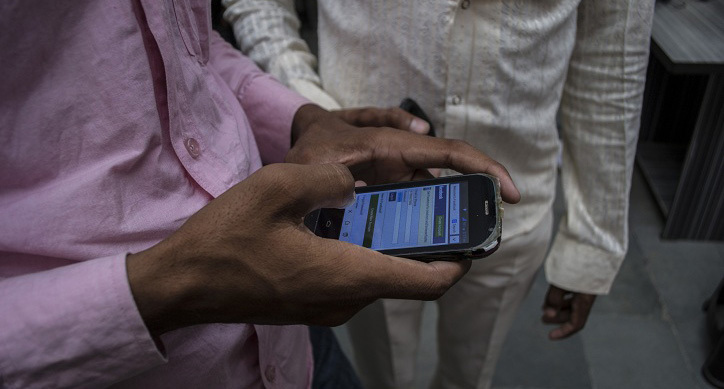 With increasing Internet penetration in India, especially driven by smartphone ownership, more and more people are getting online as consumers and producers of information. For many, for example, WhatsApp or Facebook is the first exposure to the Internet. While there is almost infinite information people can access today online, it is equally imperative to critically analyse this information. With this in mind, DEF has begun work on developing a comprehensive activity and game-based Media & Information Literacy (MIL) curriculum, and integrating it in its larger digital literacy curriculum and toolkit. MIL enables people to interpret and make informed judgments as users of information and media, as well as to become skillful creators and producers of information and media messages in their own right. An understanding of MIL would also help communities that are getting online to have better understanding of misinformation, online trolling, stereotypes, prejudices. Recognising the steps that DEF has been taking in this direction, DEF was also invited to join MILEN (Media & Information Literacy Expert Network), a global network created by DW Akademie, to exchange ideas with people and groups working in the field. As part of this network, DEF has been able to talk about its efforts in the area of MIL on global platforms like DW Akademie MIL Week 2018 in Germany, Mozilla Festival 2018 in the UK and Media Forum 360 in Slovakia (December). If Access & Infrastructure projects create the hardware, projects in the programmatic area of Education & Empowerment provide the support needed to end information poverty and, thereby, economic poverty. All projects in this particular programmatic area are aligned to the national and global mandate of creating a digitally literate and information-rich knowledge society.